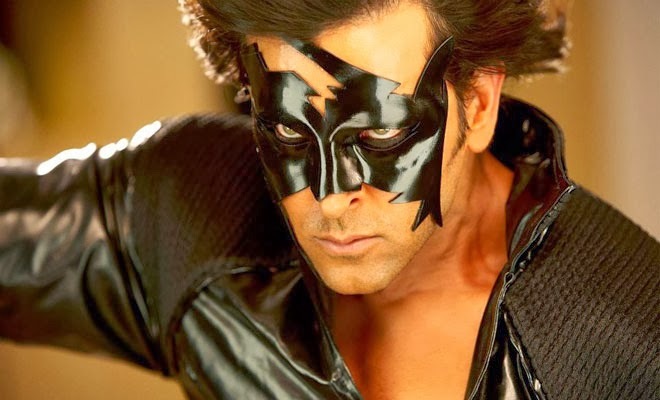 Early reports suggesting that the opening day collections of Krrish 3 is likely to come as a huge disappointment for the trade and fans of Hrithik Roshan. It's almost sure now that there will be no records for Krrish 3, not even for a non-holiday release. As per early estimates, the Hindi version of the film has collected around 16-17 crore (or even lesser) on first day. (Please note, that these are estimates based on figures from a few centres only). The film will not get close to a non holiday opening day record as Delhi/UP, East Punjab, Rajasthan and CI all record low numbers which is the norm for Diwali. The collections in these areas will not do much until Monday. The film started on strongly enough in the morning and the opening was fantastic at most places but not across the board. Business is likely to remain on the lower side throughout the weekend and Monday (holiday) will decide the film’s fate at the box office. From now on, only WOM will play the role. To read Krrish 3 reviews, Click here. For latest updates on Krrish 3, like our Facebook Page or follow us on Twitter.